The only red arch you will see for 300 miles. Roughly eight thousand people headed to Eden, Utah and the Nordic Valley Ski Resort to run what would be the final stop on the 2018 Spartan U.S. National Championship Series, a venue that is a great place for families to enjoy winter sports and recreation has been transformed into a battleground for Spartans from far and wide that proved to be a struggle for many, especially for me. The Falling Star run as seen from Twister. First, let's talk about parking, VIP parking was fairly limited and the general parking lot was 1.5 miles away so shuttle buses were used to transport you to and from the venue, so plan to arrive well in advance of your start time if you want to make it at your assigned time. Second, this is summer, in Utah and there really wasn't much in the way of shelter for people, which there happened to be a lot of since this event was kind of a big deal. The three tents that were set up for the spectators were packed tightly with people to try and stay out of the 97+ heat, there wasn't a shadow cast by a food truck or tree that didn't have people crowded under them. The road to my pain. The master of ceremonies cut us loose and we were off, beginning our ascent up the mountain hitting our first four obstacles before mile 1, from there we continued our ascent with switchbacks up and down and through some short tree covered areas on our way up to around 6400 feet, there were trails that were super thick powder at some spots and then sharp rocks on others. Once we hit the fourth mile we finally began our slow descent back down where I hit the eighth obstacle, Bender, it was about another half mile before I hit the Monkey Bars, which they switched up and removed a couple of the bars that added a little bit more of challenge for short armed individuals such as myself. 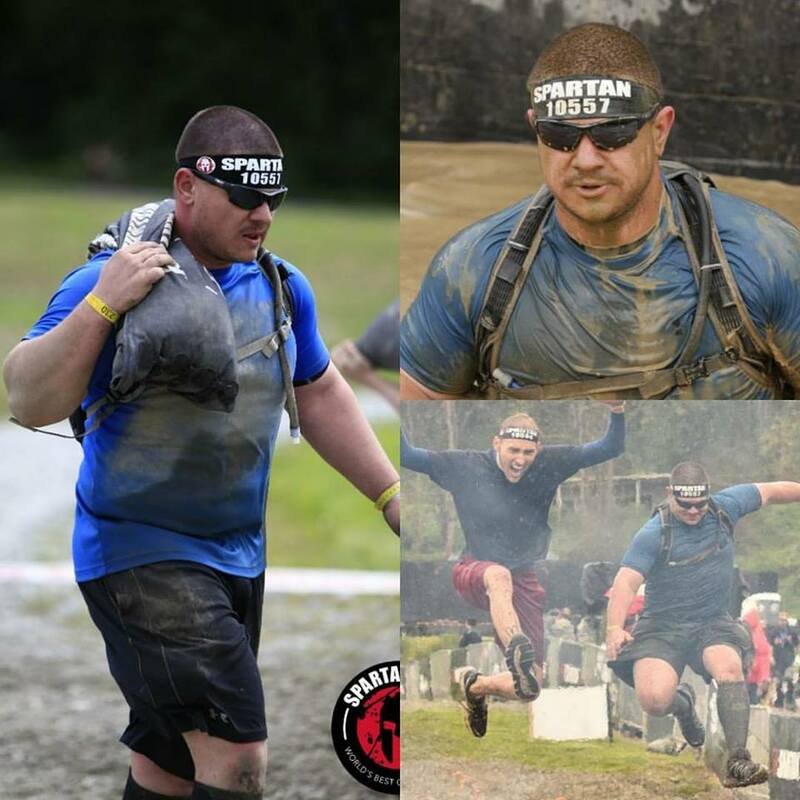 I continued on to mile 5 where I started getting really light headed and sick feeling, I finished the bucket carry and couldn't really recover afterward, Obstacles such as the rope climb, 6- or 7-foot walls and the tire flip that normally are no issue for me became extremely difficult to complete. Rope climb sponsored by the US Army. As I continued on I noticed I was not the only one having issues, every tree or patch of shade that I came to always had 10 or 12 people laying in the shade trying to cool down and get rest so that they could recover enough to get to the next obstacle. I finished my spear throw and as I was moving on I noticed a girl laying on the ground next to one of the volunteers shelters, it ended up she was waiting for the medics to come and get her because she was delirious from dehydration and possible heat stroke. By the time I got passed Twister, I had a headache that was pulsing so bad that my eyes were watering. I made it over the A-Frame, through the rolling mud, and over the slip wall to “jump” over the fire to what I really wanted……..some water and a banana. Robert Killian running up to the Vertical Cargo Net. 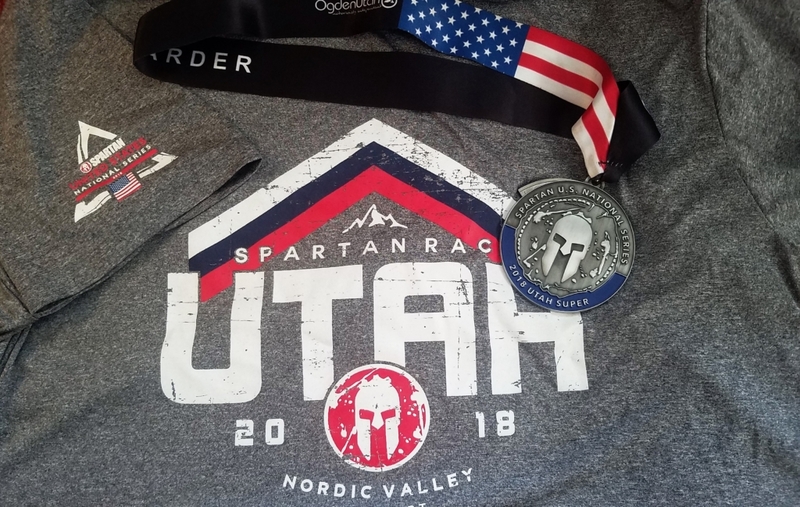 I love the series medals that Spartan has been giving out because they add a bit extra detail to remember each event that you completed, but if you have read any of my other recaps or reviews you will remember I despise these new finisher shirts! But, for people like me, there is the option to purchase a venue shirt for $30 ($25 if you use the bag check credit you get) which I have done for 4 other venues and also did at this one. Yes, I will spend the extra $$ for a better shirt! As far as the terrain and the course layout is concerned, I loved it. Mr. Garfield did a fantastic job in the vision and construction of this course. 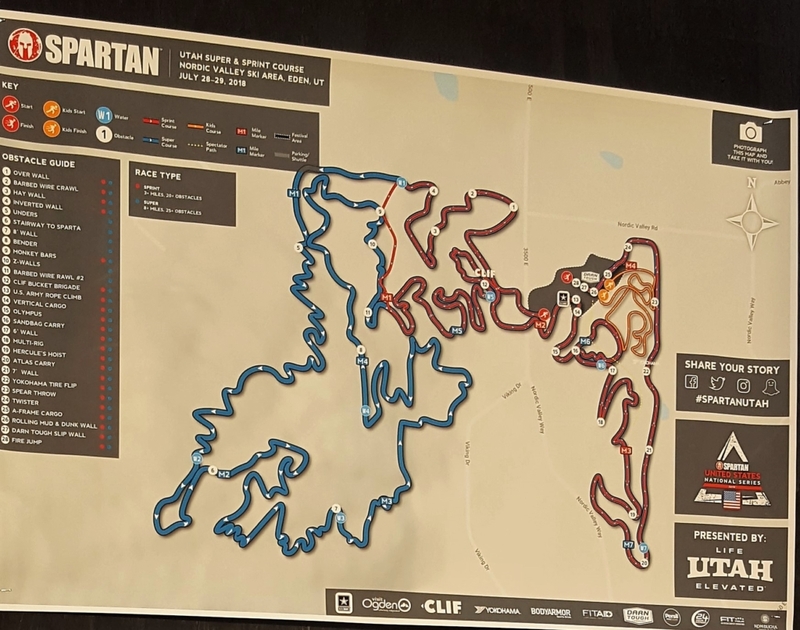 The natural obstacles such as the heat, smoke (from neighboring state fires), terrain and elevation (relative to my 1000 feet where I live) made this course pretty difficult for me to complete. 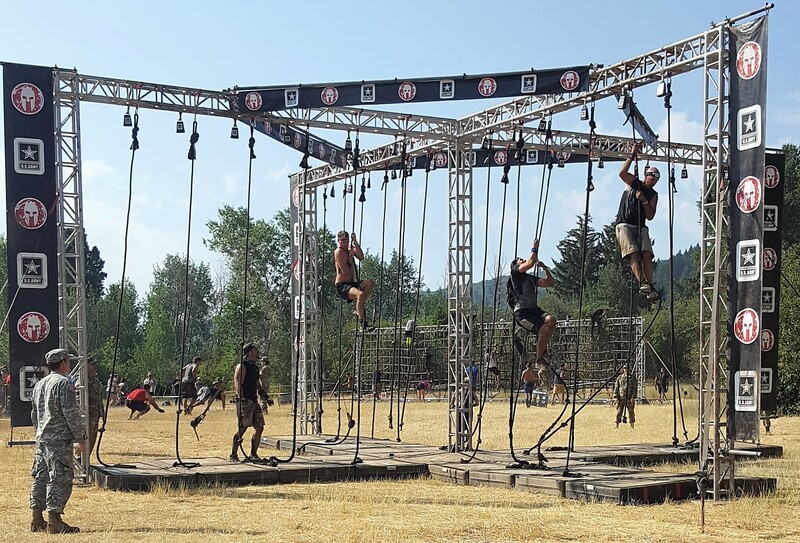 On the flip side of that, I would like to see some new obstacles rolled out soon by Spartan as the same old obstacles are becoming played out and don't leave much to the “fun” aspect of the challenge. As far as the festival area is concerned, there wasn't much in the way of food options for spectators and as was previously stated they should probably give a few more options for shelter (especially for those who have kids at the event). I give this race a 3 out of 5 stars. Christian. Father of 3. Lovely wife. Loves pain and mud. 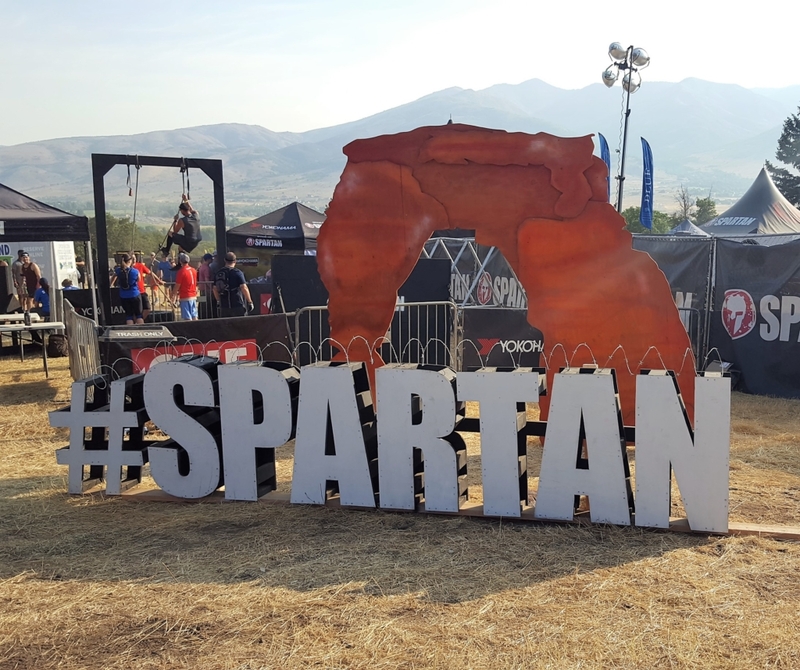 Developed a love for OCR in 2016 during a Spartan Sprint in Boise.